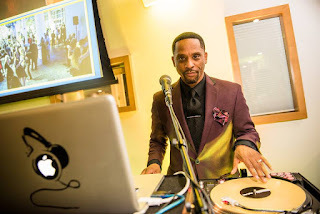 I happen to live with an expert when it comes to this blog post topic, The DJ And Wedding Music. My husband Randal owns 360 Elite Entertainment, a DJ company. One of the FAQs he gets from brides and grooms is how to choose music for things like coming down the aisle, leaving the ceremony, entering the reception, during dinner, etc..
Randal explains it all in the video below or keep scrolling to read his tips. Randal says couples should really think about what reflects them. The wedding is one of the most important events in any person's life and the music should reflect who the newlyweds are (within reason). He says the couple should also think about the mood they want to set for the day. That begins with the first note guests hear when they enter the ceremony space. The surroundings are also important to consider. Are you outside, in a great hall, in a church? The couple and the DJ should have conversations that take those factors into consideration. "It doesn't have to be the traditional wedding songs, the classical songs. It could be something that is current," said Calloway. 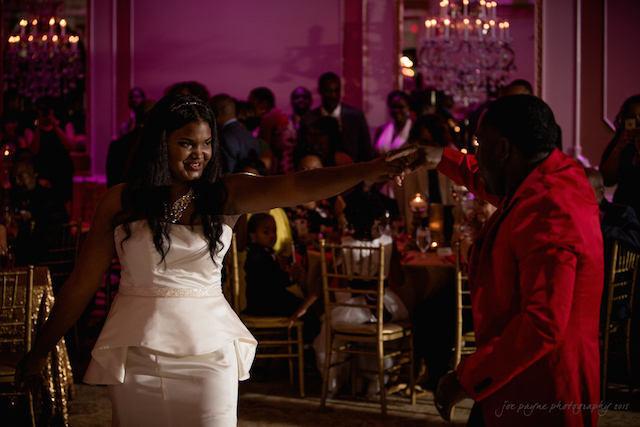 When it comes to the song a couple chooses when entering the reception for the first time, Calloway says it should really be special. "When the bride and groom are entering the reception after they've introduced, you want that to be the crescendo, the highlight of that time. You want to make sure that song is a little more exciting than the songs previous to that because those songs are the build up to your moment coming in. You are the focal point for the evening and it should be known by the song that's chosen," said Calloway. Some people may not expect much from dinner time music or expect that time to be boring, but for Calloway, dinner time music sets the stage for what the party part of the reception will feel like. "The DJ, being experienced, should have a great idea on how to read the crowd on who's there, to do the research in the beginning to find out the demographic of the crowd. You never wanna go too heavy in one genre or one period of time. You want to try to mix it up a little bit to ensure the young people are engaged, the parents, grandparents, aunts, uncles, you want everybody to have a build up so that when it comes time to get the party started everybody will feel comfortable knowing that they'll be fully represented in the party," said Calloway. Of course the new married couple is the center of the universe on their wedding day but the family and friends are also important. While the bride and groom are away taking photos or doing a wardrobe change, the DJ has to make sure the guests are entertained. "During the consultation, the DJ should get as much information about the guests so that he or she can accommodate their music preferences, whether they're from a different country or have different genres and customs they expect," said Calloway. What questions do you have for a DJ pro? Leave your questions in the comments and DJ 360 will answer them. in their tasks are not absolved from paying extensive charges for all wedding video music, music for wedding recordings and some other music they require.